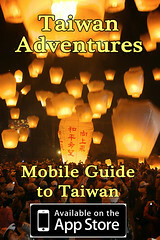 Taiwan Photographer Neil Wade's blog about Taiwan, photography, and traveling. In Taipei, Taiwan, Saturday often means skateboarding day for me and my friends. We’ll go to many different street spots around the city and county and often head to another city like Taichung. It’s usually the same group of my friends: Dave, John, Chris, myself, and lately Gav. We have a few friends in other cities, and a few other guys in Taipei skate, but we don’t seem to see them as often. Taiwan is a great place to skate because unlike most places in the western world, we rarely get kicked out of spots by angry security guards. Lucky for our group of (slightly) older skaters, there are also a lot of banks, wall-rides, and transitions to skate. There’s also an abundant supply of 7-11s for when the session starts to wind down. This past Saturday, I was in the mood to shoot some pictures. I don’t always like shooting skate pics, because usually I’d much rather skate or just hang out. It’s also difficult to carry all the gear required needed to get good pictures. We usually take the MRT or walk/skate from spot to spot and the nearly 80 lbs of gear can obviously wear me down. Sure, I could just carry a camera and shoot natural light photos, but skateboarding photography usually requires a few remote strobes to isolate the subject from the background and give the picture more “pop”. I actually wanted to get some lifestyle pictures this weekend, and the first picture of John was an attempt at that, but as the day went on, we ended up shooting a lot more skate photos. It’s alright though, because we got some good ones. Post Script – Please, please, please don’t wear black shirts on skate photo day!!! John with his lifestyle shot. Not exactly what I wanted but it worked out ok. John walks around like that all the time... I swear. He also thinks Sanchong is "Awesome, Dude." John, frontside grind transfer at the Huashan Culture Park. The security guard tried to kick us out of this place, but John and Dave went in and told the manager that a they had a photographer from the US with them. Then the security guard watched as we skated for an hour. Dave, feeble grind transfer at the Huashan Culture Park. Dave, switch wall ride switch nollie out. 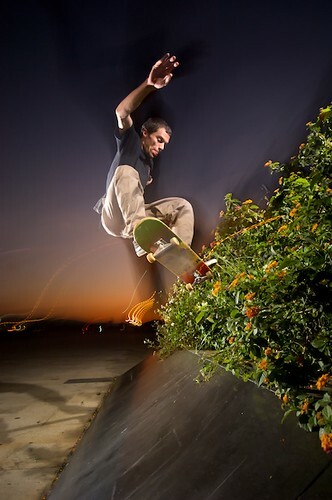 John with a kickflip wall ride. Natural light shot of John doing a big wall ride. I shot this one as a self portrait. Chris with a backside pivot. At this point, it was so dark that I couldn't even focus. Gav showed up late in the day and got a great picture. and these cool pictures made me want to read through the whole article. Sweet shots. It’s funny, I was just talking about skateboarding with my girlfriend yesterday – it’s been almost 20 years since I skated (stopped skating when I started surfing). Great work. My name is Luis and I’m from San Diego California. I’m headed to taipei today for 3 weeks. I love to skateboard and from the looks of it, you and your friends do too. It would be nice to link up with like minded gents such as yourselves and have some fun city sessions. Thanks, have a good day. Hi Louis, I just sent you an email. If you didn’t get it, send me a reply here. Cheers. Welcome to Taiwan photographer Neil Wade's not-so-personal, personal blog. The message I portray in it tends to wander from time to time but is always representative of my personal love for photography. If you would like to dive deeper into my corporate and editorial work, have a look at the portfolio section of Taiwan photography website. You can also search here for stock images from Taiwan. Download the iPhone APP for free from the iTunes Store!